I am so excited to share with you guys about the home refresh I am working on! First and foremost I decided I would tackle my bedroom because sleep is so important and my former mattress of the old school spring variety was not giving me a good night’s rest. 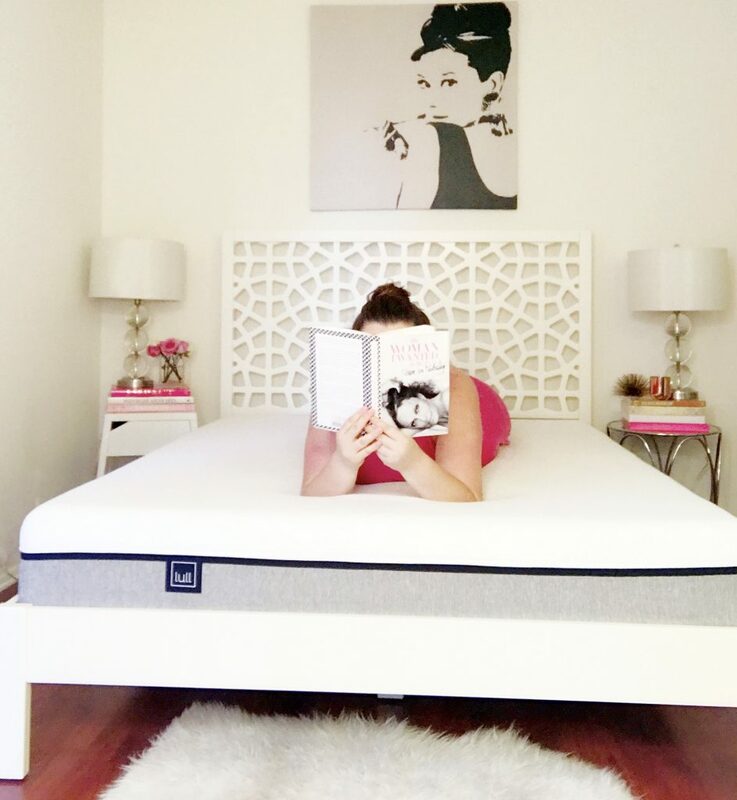 I had already started researching mattresses and Lull came up as one of the top rated boxed mattresses so you can imagine how happy I was when they reached out to collaborate with me! The process was so easy you guys! Within a day after placing my order online, my new mattress arrived in a box on my doorstep via Fedex. No messy delivery service or waiting weeks because something was out of stock. Setting up the mattress was a breeze too! I literally slid it out of the box, cut open the plastic casing and placed it on my bed. I waited a few minutes while it expanded and took shape. Just like that I had a new mattress and I couldn’t have been happier. Plus, they’re super affordable! Another thing I love about Lull, is that they are eco-friendly. One of the biggest things I researched when looking into mattresses was the use of harsh chemicals. Rest assured Lull Mattresses do not contain harmful chemicals such as formaldehyde, ozone depleters, heavy metals and certain flame retardants . On top of that, they are offering a 100 night trial, so if for some reason you don’t love it (I am willing to bet you will though!) you can return it, no questions asked. Overall I am thrilled with my new mattress and after sleeping on it for over a month, I can say I’ve never had a better night’s rest. The gel infused memory foam keeps me cool all night so I never overheat. I’m also a side sleeper and Lull’s firmness has been perfectly accommodating for me as well. I have never experienced such great sleep or felt this well rested in a long time. Thanks so much LULL! 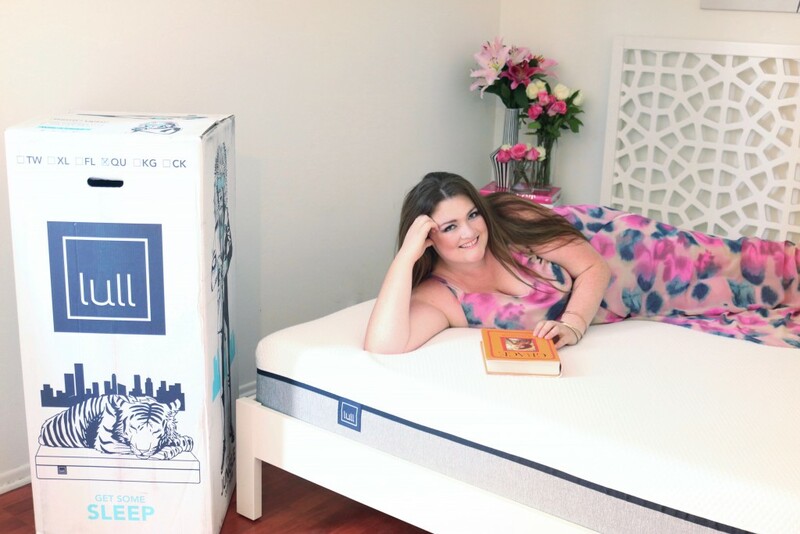 I have never purchased a mattress via box company but I am definitely looking into Lull now! They are so affordable! YES! Definitely on the top of my list and I have been sleeping great since it arrived! I’ve always wanted to try a box mattress but haven’t yet.. I may just do it! I think we may take the plunge and get either a Lull or Casper this month! You will love it! I’ve been sleeping great!